Vince Gironda details the kind of training and nutritional program he used to achieve results within ten days. 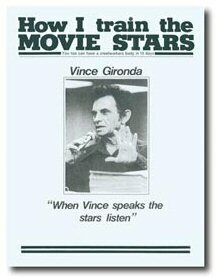 When the studios sent Vince a star they never gave him a comfortable amount of time. It’s usually ten days to two weeks, yet they expected him to produce miracles, which he seemed to achieve. The course is the same one the stars paid thousands of dollars to perform under Vince’s supervision at Vince’s Gym. I want to order this book but i dont have adobe reader. Any other way to purchase?